When DxO acquired Nik Collection from Google, its fate was unclear. In good news for the dedicated users of the photo editing software, Google reversed course and confirmed that a new version will be released in 2018. Google acquired Nik Software in 2012. Prior to the acquisition, Nik Collection cost $500. Shortly after bringing Nik Software into the fold, Goggle dropped the price to $149. In March 2016, Google announced that the software would be freely available to download. Google initially said that its decision to offer Nik Collection for free reflected its “long-term investments in building incredible photo editing tools” and did not mean that the end was near for the popular photo editing software. This summer, Google announced that it would no longer update the software. To date, no information has been released regarding an exact timeline or how much the new version will cost. 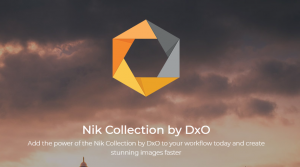 For Nik’s users that are eager to access Nik’s U Point technology again, DxO is encouraging you to check out DxO PhotoLab (formerly DxO OpticsPro) to edit RAW and JPEG files.